Vintage Kids' Books My Kid Loves: Great Holiday Give is Coming! Hi all... Just some pre-warning. Monday, November 18 marks the start of my annual Great Holiday Give. A giveaway every day for a week including brand spanking new copies of fabulous vintage reprints. Participating publishers include Enchanted Lion, Purple House Press, NYRB and more! Don't miss it!!!! Let the holidays begin friends! Awesome! 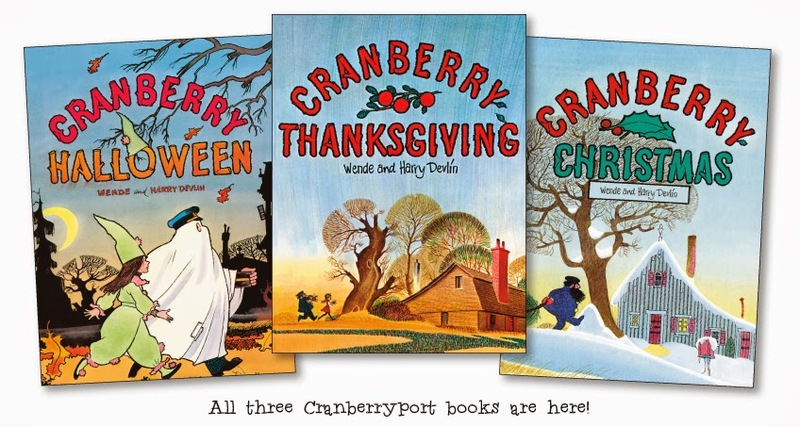 I have to tell you how much we love the Cranberry books by the Devlins. I love pulling out our copy of Cranberry Thanksgiving at this time of year. Thanks for introducing us to it and so many other great books through your posts over the years.